Federal President Dr. Heinz Fischer, Foreign Minister Sebastian Kurz, Minister for Agriculture, Forestry, Environment and Water Management Andrä Rupprechter and Minister for Education and Women’s Affairs Gabriele Heinisch-Hosek were in New York on the occasion of the leader’s week opening the 70th General Assembly of the United Nations (UNGA) during the last week of September. At the “Summit for the UN Agenda 2030 for sustainable development”, President Fischer said: “The Agenda 2030 is an important milestone to fight hunger, poverty and climate change”. He also addressed the “Global Leaders‘ Meeting on Gender Equality and Women’s Empowerment” as well as the “High-level event on Migration”. Furthermore, he attended the Leaders‘ summit on peacekeeping” and the „Leaders‘ Summit on Countering ISIL and Violent Extremism“. 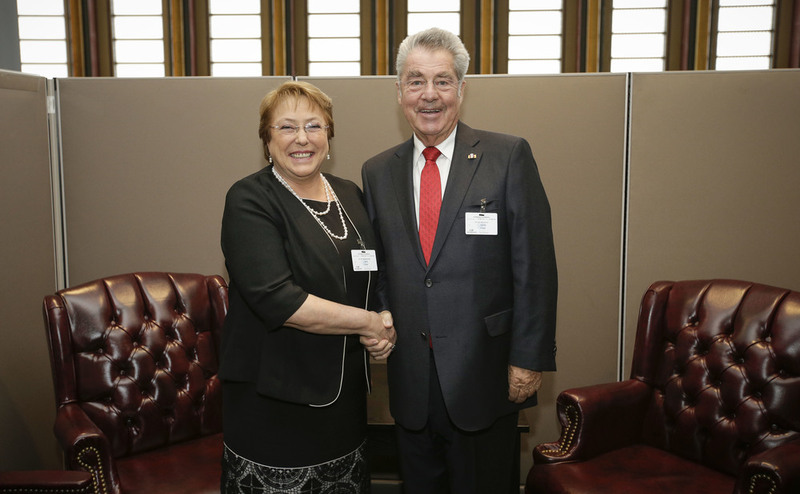 President Fischer also held a number bilateral meetings. At the Austrian Cultural Forum New York, the President opened the exhibition “Erich Lessing. Andrew Mezvinsky. The Jewish Museum Vienna On 52nd Street.” President Fischer and his wife also took the opportunity to visit the 9/11 Ground Zero Memorial. Foreign Minister Sebastian Kurz attended most of President Fischer’s bilaterals and held separate meetings with a number of foreign ministers and UN special representatives. 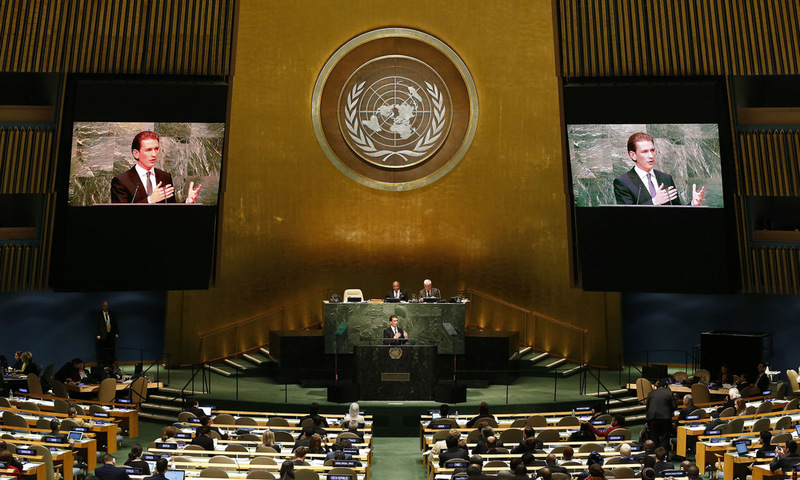 Minister Kurz addressed the UNGA, the “Post-2015 Interaktiver Dialogue – Fostering Sustainable Economic Growth“, the “Plenary Meeting to commemorate the International Day for the Total Elimination of Nuclear Weapons” as well as the event on the “Humanitarian Crisis in Syria”. He also met representatives of Jewish Organisations. Minister for Agriculture, Forestry, Environment and Water Management Andrä Rupprechter spoke at the UN Panel on “Sustainable Energy For All (SE4ALL) - Implementing SDG 7“ on “Increasing substantially the share of renewable energy in the global energy mix by 2030”. He also attended the UN Private Sector Forum “Implementing the SDGs” and held bilateral meetings. Minister for Education and Women’s Affairs Gabriele Heinisch-Hosek attended the “Global Leaders‘ Meeting on Gender Equality and Women’s Empowerment” and held a bilateral with her Chinese counterpart Song Xiuyan.